-Founded in March of 2016, the National Championship Wrestling Alliance is the premiere brand in professional wrestling. You won't find soap opera storylines or "sports entertainment" here. Incredible athleticism, competition, and an emphasis on SPORT are the cornerstones of the National Championship Wrestling Alliance. The NCWA is structured like a legitimate sport. Wins and losses are of the utmost importance. Win/Loss records will be kept and updated after each event in this thread. In addition, a points system will be in play, which will decide the standings in the company. 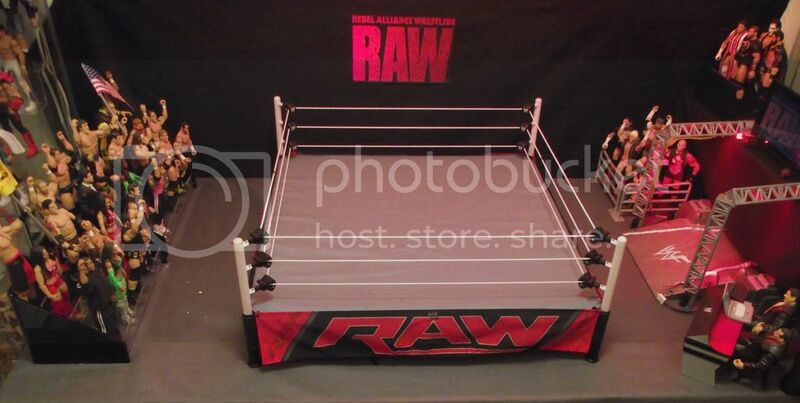 2 points are awarded for a pinfall, submission ,countout, or DQ victory, or through ref stoppage or knockout. 1 point will be awarded for any kind of a draw. There will be NO points awarded for a loss. These standings are of the utmost importance, as the standings will decided the contenders for all of the Championships. Champions will be required to defend their titles against one of the top five ranked contenders for their title. In the NCWA, we LIVE professional wrestling. -The NCWA is currently in negotiations to bring more programming to different mediums, such as streaming media, traditional television, and On Demand services. An announcement is sure to be made in the coming weeks. -Stay tuned as more information will be posted RIGHT HERE in the coming days. This is the National Championship Wrestling Alliance, and in the NCWA, we LIVE professional wrestling! I like the sound of this. Love me a good rankings system. Looking forward to it. Long time between drinks for you Sir - welcome! I'll add you to the Active List if you'd like. Please let me know if you'd like to be registered too. Great idea, bro. Love it. Yes, please add me to the Active list and also I would very much like to be registered! There will be a results thread put up in the main board. Also, this thread will be updated with News and Notes reports several times a week. There should be a big report coming out in a couple of hours while the first week of results will be up in the main board in just a few moments. I also REALLY need a logo made for my company if someone can help me out with that! -What a busy nine days it has been since the NCWA officially opened its doors and held its very first television taping a week from last Saturday. NCWA Power Pro Wrestling was considered a critical and artistic success as the NCWA attempts to present a new take on professional wrestling. The era of SPORT has returned indeed and there is plenty to talk about and report, so lets get to it! -In the biggest news of the week, NCWA officials have announced that the first ever NCWA Global Heavyweight Champion will be crowned in an unheard of 128 man tournament! The tournament will air on NCWA programming, with matches also taking place during the NCWA house show events, which are dubbed "NCWA Pro Wrestling LIVE". All results are sure to be posted right here on the WF Forums, so you can be sure that you will be able to catch ALL of the exciting action as the competition rages on for the richest prize in professional wrestling. -Speaking of the NCWA Global Heavyweight Championship, the NCWA has commissioned several top belt makers in the industry to come up with designs for the title belts. Apparently, the NCWA Championship Committee has already decided on a couple of designs that will represent the Championship. Yes, you read that right, a COUPLE of designs. Word has it that the NCWA Global Heavyweight Championship will be represented by not one, but TWO title belts. One title belt will represent the entirety of the National Championship Wrestling Alliance as a company, while the second title belt will represent the entire World. Photos of the NCWA Global Heavyweight Championship belts are sure to surface and we will have them for you as soon as they are available! -The National Championship Wrestling Alliance touts NCWA Power Pro Wrestling as it's flagship program, but the NCWA has already signed to air THREE more weekly television shows. With the NCWA's massive roster, the Championship Committee feels it is absolutely necessary in order to provide it's talent with sufficient air time. NCWA Main Event Wrestling will air on Sunday nights and it is being called the "A-2 Show". This program is sure to feature most of the big names in the company in highly competitive bouts, much like Power Pro Wrestling presents each week. NCWA All American Wrestling will air on Tuesday Nights. All American Wrestling will be primarily more for the mid carders and lower mid cards, as well as the rookies, and will be a program where these athletes can shine and move their way up the ranks. NCWA Wrestling Showcase will air on Thursday Nights and the format for this program is said to be reminiscent of the World Wrestling Federation's old "Primetime Wrestling" show. Host Joey Styles will be joined by a cast of different personalities each week and together they will form a Roundtable, which will discuss the weekly happenings in the National Championship Wrestling Alliance. In addition to the lively discussion ,exclusive matches from NCWA's Pro Wrestling LIVE House Show events will air as well. -Raven is being considered as being brought in as a commentator for the company. Raven is also being considered for a spot on the NCWA Championship Committee. As of now, Joey Styles and "Dirty" Dutch Mantel are the color and play by play guys for NCWA Power Pro Wrestling. -Shelton Benjamin has finally agreed to a deal with the NCWA and he signed his contract sometime in the wee hours of the morning on Monday, March 21st. Shelton Benjamin will not be eligible for the NCWA Global Heavyweight Championship tournament, but he WILL indeed be featured on television as soon as he finishes his commitments in Japan. Expect Benjamin to join the NCWA roster full time in the beginning of April. -The NCWA is close to signing deals with a multitude of wrestling superstars. Among those in negotiations to join the NCWA are Curt Hawkins, Jimmy Snuka, Sgt. Slaughter, Jinder Mahal, Matt Hardy, Davey Boy Smith Jr., and Beth Phoenix are all in negotiations. -The NCWA is finalizing the deals of several more superstars. Adrian Neville, The Nasty Boys (Brian Knobbs and Jerry Sags), Jim "The Anvil" Neidhart, Samoa Joe, Lana, Austin Aries, Christopher Daniels, Matt Morgan, Angelina Love, Daffney, Rob Terry,Desmond Wolfe, The Sheephearders (Luke Williams and Butch Miller), Enzo Amore and Colin Cassidy are all pretty much signed but they must all submit to and pass the required medical testing before they can be brought into the company on a full time basis. -Tommy Dreamer suffered a back injury during his bout with CM Punk last week. The good news is that Dreamer's injury will not require surgery, but the injury was significant enough that Dreamer will be forced to miss the Global Heavyweight Championship Tournament. -The NCWA is currently scouting venues for the first "Super Card" that the company will hold. No date has been announced yet. Also, the NCWA isn't sure if they are going to go a traditional route with Pay Per View, or if they will pursue an alternate form of distribution. NCWA officials will meet with executives from HBO and Showtime this week to possibly discus airing special events on either network. NCWA officials are also scheduled to meet with higher ups from both Netflix and Hulu to discuss possibly providing special events to either streaming service in liue of traditional "Pay Per View" events. Of course, Internet PPV is also an option. -Besides scouting Raven as a possible commentator, NCWA also is in talks with several other commentators in the business. Steve Corino, Tony Schiavonne, Jesse Ventura, Renee Young, Paul Heyman, Bobby Heenan, Vampiro, David Crockett, Bob Caudle, Jim Ross, Vampiro, Kevin Kelly, Mauro Ranallo, Josh Barnett, Jim Cornette, Scott Hudson, Larry Zybysko, and Shane Douglas are all scheduled to meet with NCWA officials this week and all are expected to submit to try outs for the open commentator positions. -The NCWA Women's Division is undergoing the required medical testing that all NCWA athletes must undergo before they can debut on television or perform in the ring. All 16 women are expected to make their debuts on television within the next week. The NCWA has indeed announced that there will be an NCWA Women's Championship and that a 16 Women Tournament will take place to crown the first Champion. As the various women are cleared to wrestle and finish up their prior commitments, more news is sure to come out on this exciting division! -The brackets for the NCWA Global Heavyweight Championship Tournament will be released RIGHT HERE later in the day, so keep your eyes peeled and we will keep you posted. Check back frequently because you do NOT want to miss the release of these brackets! -There has been quite a bit of talk about the NCWA Championship Committee and who actually comprises the governing organization of the NCWA itself. There have been lots of names rumored to be serving on the board, but in all honesty, the Committee is somewhat of a mystery. Rumored to be serving on the Championship Committee are legends Bruno Sammartino, Magnum TA, Kevin Sullivan, Bill Watts, Greg Gagne, Jerry Jarrett, Jim Cornette, Pat Patterson, Adam Pearce, "Superstar" Billy Graham, Ivan Koloff, Jim Crockett, Gabe Sapolski, Eric Bischoff, Scott D'Amore, Jim Ross, and JJ Dillon. We will continue to look into this and hopefully bring you the identities of some of the Committee members in the days and weeks to come. -Stay tuned, as later today the NCWA will publicly release the brackets for the 128 Man Tournament for the NCWA Global Heavyweight Championship. And check out the NCWA Results Mega Thread here forum.wrestlingfigs.com/thread/332855/ncwa-results-mega-thread-week. The first week of results in the NCWA are up, including the first episode of Power Pro Wrestling as well as the weeks House Show results. 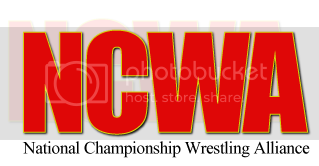 Coming later today, the results for the 3/19/16 episode of Power Pro Wrestling will be posted, along with the results for the very first episode of NCWA Main Event Wrestling! This is something a threw together. I hope it works. I can improve upon it later. I love the logo thank you so much!!!! Welcome back to WF, NCWA! Your latest Observer post is a wonderful addition to everything else you've got going at the moment. I think it's fair to say that the NCWA possesses quite possibly the greatest roster known to man. For that reason and many more I am excited to read your work. Also, I think it's really cool how Parchandri stepped up to contribute that classy logo. Kudos to him. Anyway, I will get around to reading and replying to shows for sure. I'm trying to get my own thing going steady and onto a roll and stable and then I will get to everyone's work. I can honestly say I am looking most forward to writing my NCWA Wrestling Showcase show as it will mainly be written dialogue as Joey Styles will host a panel with 4 other personalities each week where they will talk about the ongoing happenings in the NCWA and presents original, exclusive matches as well as look at clips from house shows over the course of the week. I have another project coming up that will be very different as well. Can't wait! Here are the brackets for the NCWA Global Heavyweight Championship. The 128 man tournament is split into 4 blocks of 32. The winner of Block A will face the winner of Block B and the winner of Block C will face the victor of Block D. The two winners of those matches will finally square off for the NCWA Global Heavyweight Championship when that time comes. All of the brackets were indeed drawn at random, old fashioned style with names being drawn out of a hat. We are going to have to pay close attention to all the results on a routine basis because no one is going to be able to just show up and win because of a name or reputation. -It's been a wild week in the National Championship Wrestling Alliance since the last issue of the NCWA Observer. There is no shortage of game changing news to report in this edition of the official behind-the-scenes publication of the leading professional wrestling organization in the world. -We begin this week with some earth shattering news, as the NCWA has acquired several new talents in their aggressive attempt to scout and obtain the top professional wrestlers in the industry from all over the world. The Phenomenal One, AJ STYLES agreed to terms with the NCWA a little over a week ago. The international star has already reported to the NCWA Offices in Portland, Oregon to prepare for his upcoming debut, which is planned for immediately after the conclusion of the NCWA Global Heavyweight Championship Tournament. -The NCWA signed another international star later in the week when they inked New Japan Pro Wrestling alumni and the father of modern Junior Heavyweight wrestling, the legendary JUSHIN "THUNDER" LIGER!The masked Japanese legend was signed to spearhead the NCWA's Junior Heavyweight Division, which the company publicly announced on it's website and via press conference at the same time as they announced the Jushin Liger signing. That, wrestling fans, was certainly no coincidence. Liger is also expected to debut on NCWA Television following the conclusion of the NCWA Global Heavyweight Championship Tournament. -Speaking of the NCWA's upcoming Junior Heavyweight division, the NCWA Board Of Directors's not only announced the division and the NCWA Junior Heavyweight Championship itself, but they also unveiled the Championship belt as well. -RICK "THE MODEL" MARTEL, "ROWDY" RODDY PIPER, BOB ORTON JR.,JERRY LYNN and ROBERT ROODE were all signed to NCWA contracts recently as well. -Contract negotiations continue with several top wrestlers from all over the world. Reportedly close to signing are Jim "The Anvil" Neidhart, Samoa Joe, Chavo Guerrero, Chris Masters, The Bushwackers, Enzo Amore, Colin Cassidy, Bubba Ray Dudley, D-Von Dudley, Aiden English, Simon Gotch, Beth Phoenix, Sara Del Ray, Christopher Daniels, Baron Corbin, Nigel McGuiness, Austin Aries, and Bruno Sammartino. -Several members of the NCWA Board Of Directors have been revealed. Dusty Rhodes, JJ Dillon, "Cowboy" Bill Watts, Kevin Sullivan, and Pat Patterson have all been revealed as serving on the board. Word is that there are still "a handful" of other members that have yet to be revealed. -The NCWA is aggressively courting some top Japanese stars. Shinsuke Nakamura, Hiroshi Tanahashi, Kazuchika Okada, The Great Muta, and Kota Ibushi are all on the NCWA's radar. -In BIG news, the National Championship Wrestling Alliance and premium cable outlet SHOWTIME, announced a partnership this week. The deal between the two entities will allow the NCWA to air several special events, or "Premium Events" as the NCWA officials have dubbed them, on SHOWTIME throughout the year. The specials will air on FRIDAY NIGHTS at 9PM Eastern time. The date is yet to be announced for the first NCWA Premium Event, but the Board Of Directors have confirmed that the very first NCWA Global Heavyweight Champion will be crowned on the very first SHOWTIME Special! -NCWA Officials have announced the venue for the very first NCWA SHOWTIME Premium Event as well. The new Barclays Center in Brooklyn, New York will host this incredible night in NCWA history. More details are sure to emerge soon on this huge event. -Paul Heyman was working at the NCWA Television tapings this last week as an agent and a television producer. Heyman was reportedly pushing for the NCWA to begin allowing managers at ringside. -Paul Heyman has also been brought on to work on developing a new television series for the NCWA. Heyman will be working with Raven, Tommy Dreamer, and some outside Hollywood connections to produce an NCWA Television show that will be vastly different from the rest of the lineup. Heyman has confirmed that horror film visionaries Eli Roth and Adam Green have been confirmed to be working on the new NCWA series! IFC and the NCWA are in negotiations to air the Untitled Paul Heyman Project on Friday or Saturday Late Night at 12am or 1 am. -Tommy Dreamer has been cleared to return to the ring from his back injury. -Jerry "The King" Lawler and The British Bulldog both had to have staples and stitches inserted to close up major head wounds that both suffered during their NCWA Global Heavyweight Championship Tournament matches from the last week. Lawler had to have 18 staples to close a large gash suffered when Kevin Owens introduced his skull to the ring post on four consecutive occasions. Bulldog had 24 stiches put in to close a rather nasty wound he suffered when Paul Orndorff sent him forehead first into the corner of the steel ring steps. -Steve Corino is working with the NCWA as an agent and a consultant to the commentators. Corino is in ring shape and says he's more then willing to sign a talent contract. -Mike Awesome, Rhino, Yoshihiro Tajiri, and Justin Credible were all backstage at NCWA events this last week. It's unclear at this point if any of the wrestlers have been approached about working for the NCWA. -A two day tournament has been announced to crown the very first NCWA World Tag Team Champions. Day One will take place from the Greensboro Coliseum in Greensboro, North Carolina. Day Two will take place from Charlotte, North Carolina. Both events will be available exclusively through iPPV and OnDemand on the NCWA website. The date for these two events will be announced in the next issue of the Observer. -The NCWA Women's Championship will be decided in a 16 Woman Tournament that is expected to start on NCWA television when the Global Title Tournament concludes. -In late breaking news this week, the NCWA Board Of Directors have just announced that legendary 7 time NWA World Heavyweight Champion HARLEY RACE will be the Special Guest Referee for the NCWA Global Heavyweight Championship Tournament Finals, which will take place LIVE on SHOWTIME and emanate from the beautiful Barclay's Center in Brooklyn, New York! The grizzled veteran and one of the toughest men on the planet, and undoubtedly one of the greatest World Champions in the history of our great business, Harley Race is sure to call the important Championship Match right down the middle and with an insight that no other possesses. -Until next time, stay tuned to the National Championship Wrestling Alliance. In the NCWA, we LIVE Professional Wrestling! Yeah, the Observer reports are fun to read in tandem with the show results. Lots of new signings were announced, but the Showtime and IFC deals are the most intriguing for me. I'm anticipating the debuts of the Junior Heavyweight and Women's divisions, as well as the upcoming World Tag Team Championship two-day tournament. I don't know how you manage to keep up with all of it; I admire the effort you give and it pleases me to hear how much fun you're having with this. You guys are just tremendous to read and be so supportive of my habit. I need to start replying to other feds once life gets back to normal for me and I get moved to my new place. In the meantime, this outlet has been the ultimate escapism from the problems in my life and I have this unmatched passion for my fed now. I literally think about it 24/7! Results will be up for the remainder of the Global title tournament and the very first SHOWTIME special, entitled "Ultra Clash", along with another Observer,will all be up within the next day!